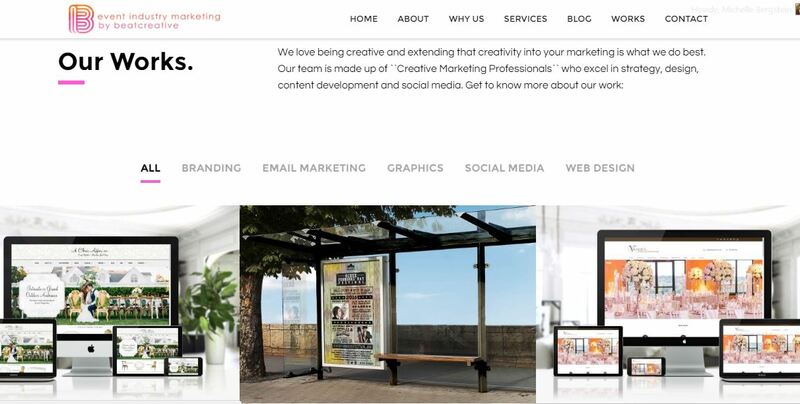 National marketing expert, BeatCreative invites you to visit the newly designed website and explore all the ways we can help your brand grow. ORLANDO, FL – October 15, 2016 – Event Industry Marketing by BeatCreative, National marketing expert for the event industry at large, is excited to launch their new website. The website has undergone a complete makeover, making it more interactive, concise and easier to navigate than ever before. Event Industry Marketing by BeatCreative provides digital marketing and design which includes, branding, email marketing, graphics, social media packages and web design. BeatCreative implements effective social media & online marketing strategies for the meeting & special event industries. They create content that is engaging to the client’s potential customers and stay abreast of trends through marketing research. The BeatCreative team is made up of ‘Creative Marketing Professionals’ who excel in strategy, design, content development and social media. Their years of experience in the industry and marketing backgrounds make them the go to company for event professionals looking to push their brand to the next level with creative marketing and powerful messaging. Today, Event Industry Marketing by BeatCreative is used by several of the event industry leaders, some of which include A Chair Affair, Lee James Floral Design and Vangie’s Events of Distinction. The new site is simplified and lists all of the services BeatCreative offers. Potential clients can explore services and see completed work of existing clients. The website also allows users access to the BeatCreative Blog, meet the team, watch video testimonials and learn more about Event Industry Marketing by BeatCreative’s mission. Follow Event Industry Marketing by BeatCreative on Facebook, Twitter, Instagram and LinkedIn for more updates. Event Industry Marketing by BeatCreative is Central Florida’s marketing expert for event industry vendors, and event marketing for conferences, festivals and events.